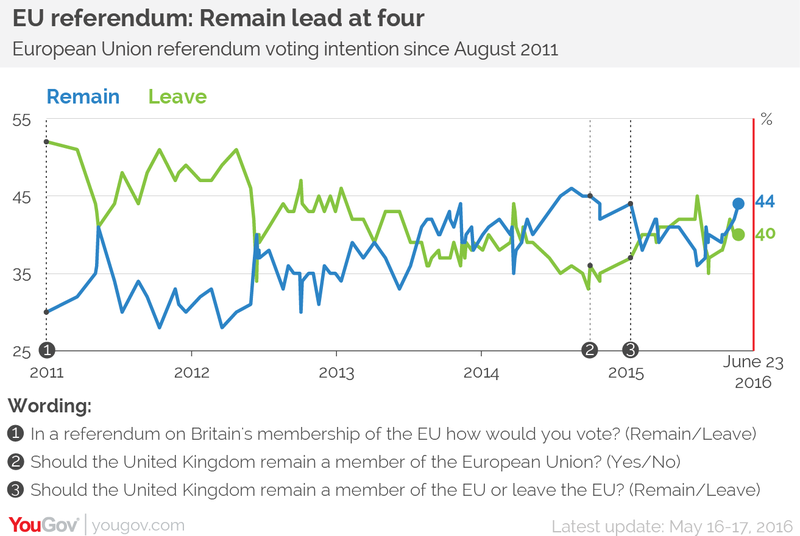 am Mai 18, 2016, 9:40 a.m.
With just over a month to go until the referendum on Britain's membership of the European Union, Remain has a four point lead over Leave. 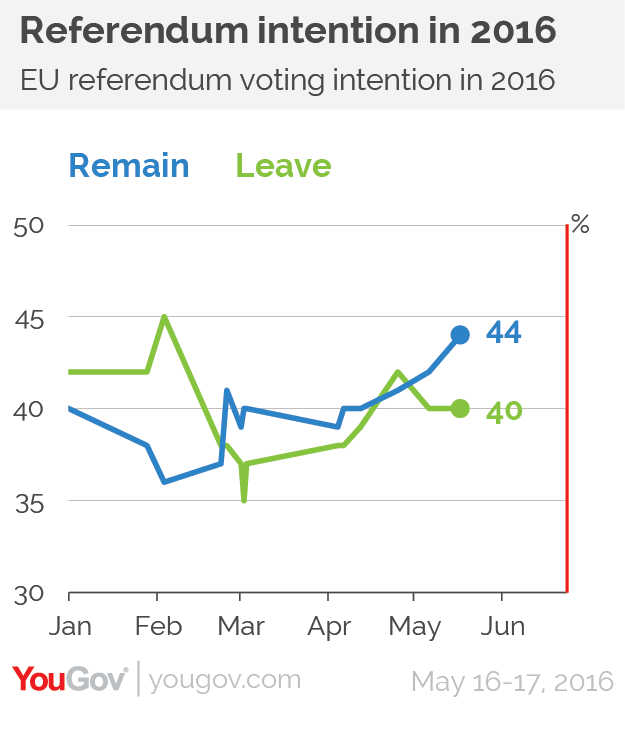 Remain has moved to its highest level since August 2015 (44%), and as the campaign heats up and EU referendum coverage, canvassing and leafleting increases the proportion who say they're unsure how they will vote (12%) has fallen to the lowest level on YouGov's records (since September 2010). We have made a slight change in our methodology since our previous poll. While our polls at the Scottish, Welsh and London elections were generally very accurate, one consistent flaw was that we had UKIP too high. Investigating this error appears to be related to the switch from weighting by party ID to weighting by past vote. Comparing our sample to the British Election Study people in our polls who voted for "establishment" parties like the Conservatives and Labour in 2015 were not likely enough to also identify with the party, people who voted for "challenger" parties like UKIP and the Greens in 2015 were too likely to identify strongly with them. To address this we have added an extra weight by whether respondents generally identify with one of the main established parties, whether they identify with one of the smaller, newer parties, or whether they don't have any strong party identification. The impact of this is to slightly reduce the level of UKIP support in our voting intention figures and slightly increase support for Britain remaining in the European Union. In today's poll the change has increased Remain's lead by one point, from 3 points on our old weights to 4 points on our new weights. 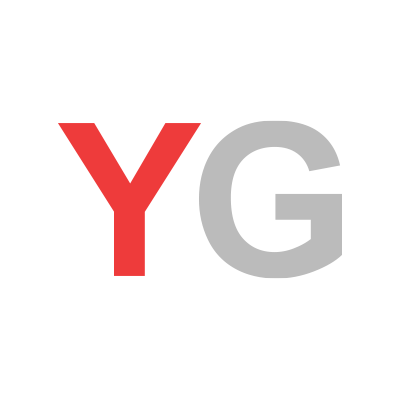 As ever, we are keeping our methodology under constant review, and are actively looking at other areas such as how we deal with don't knows, how best to model likelihood to vote and keeping track of false recall in past vote.